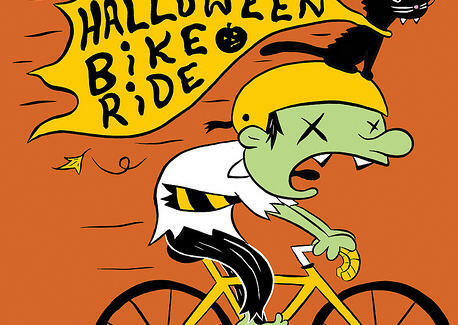 Don your Halloween best, grab your two-wheeler, and meet at Dupont Circle Saturday night for a bike tour that'll head to Oak Hill Cemetery (spoooooky! tiiiiring! ), before finally ending up at Duffy's Pub.